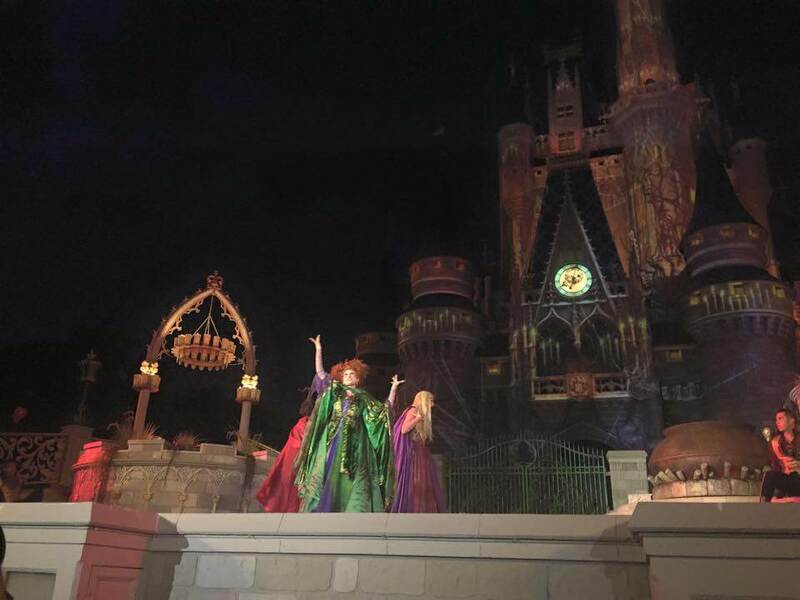 The classic 1993 Disney film “Hocus Pocus” has come to life at Walt Disney World. Last night at the first Mickey’s Not-So-Scary Halloween Party for 2015, the Sanderson sisters made their first-ever appearance in a Disney theme park, hosting the musical Hocus Pocus Villain Spelltacular Show in front of Cinderella Castle. 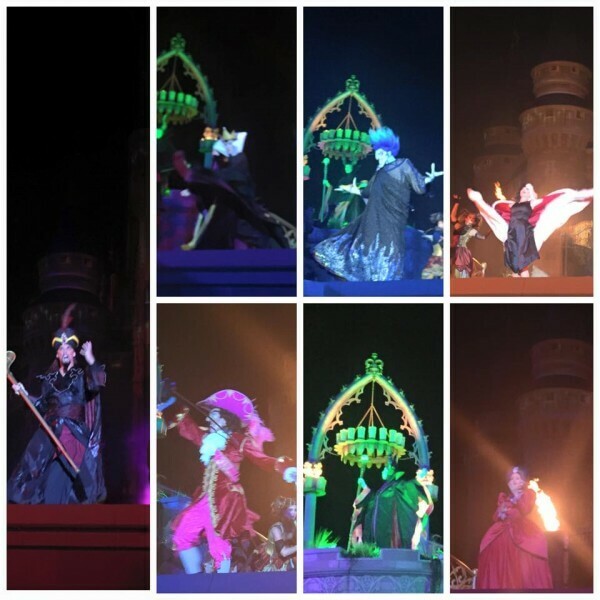 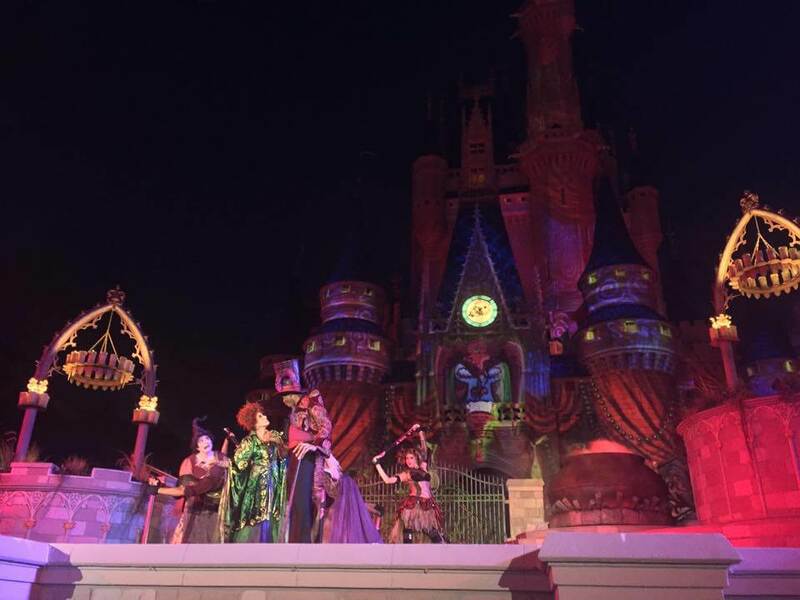 Alongside Disney Villains including Dr. Facilier, Maleficient, Captain Hook, Jafar, and Oogie Boogie among others, Winifred, Mary, and Sarah Sanderson took the stage to cast a spell across the Magic Kingdom, kicking off Halloween season. Mickey’s Not-So-Scary Halloween Party continues on select nights throughout September and October. 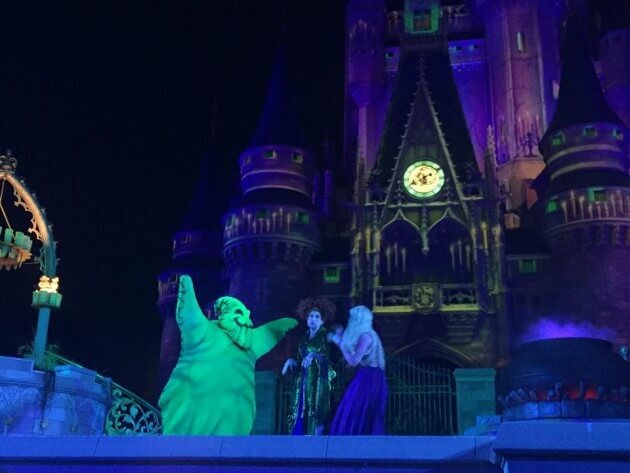 I saw Billy Butcherson walking around Magic Kingdom, was he part of the show?